The following information will help you maintain your water heater. Has your pilot light gone out? Normally your water heater will have lighting instructions on the front of it. Sometimes the instructions get worn off the water heater making them difficult if not impossible to read. To light pilot first turn the knob on the front of the gas valve clockwise until it stops. Then turn the knob on top of the gas valve to “off” position for 5 minutes. This gives the gas valve a chance to reset. While waiting, take the metal cover at the lower front of the water heater off. There will be another metal cover. Remove it. You will see three lines going into the burner area. The one on the right is the pilot tubing. Follow that tube into the burner area until you see the pilot assembly. Now you know where to light the pilot when you are ready. After 5 min. turn the same knob to the “pilot” position and push down. While pushing down on the knob, (using a long match or striker) reach into the burner area to the pilot assembly and light the pilot. Continue holding the button down for 60 seconds then release it. The pilot should stay lit. Turn the knob on top of the gas valve to the “on” position. Put the metal covers back on the water heater. Turn the knob on the front of the gas valve to its original position or close to it. If the water is cold in the water heater the burners should be on. Is there the smell of sulfur and or rust in your water? Complaints of smelly and rusty water are frequent in the heating industry. Waterborne bacteria that flourish in a warm environment such as a water heater, hot water storage tank, or connected to plumbing cause these conditions. The most common cause of smelly water is non-toxic sulfate reducing bacteria called Divibrio Sulfuricans. These bacteria convert sulfates into sulfides that when mixed with hydrogen create Hydrogen Sulfide Gas. The associated “rotten egg” odor may be quite strong. Along with the sulfur bacteria, required elements are high concentrations of sulfates, active hydrogen, and water with little or no dissolved oxygen. Sulfates provide the food for the bacteria. Hydrogen is already present in the water, and can be enhanced by the water heater anode rod. Permanent removal of the anode rod is not an acceptable solution, since that would leave the water heater without it’s second line of defense against corrosion, and will void tank warranty. 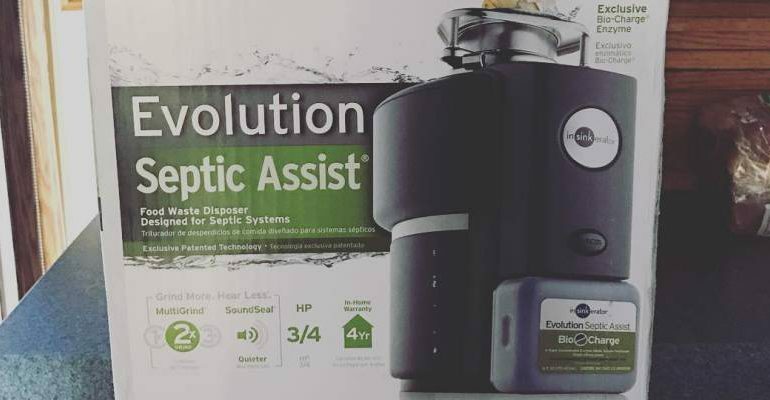 Examples of water heating systems often low on dissolved oxygen are those with long standby periods and municipal water systems with large reserves and low flow conditions. Water heaters and storage tanks are often blamed for rusty or discolored water. In fact, it is very unusual for today’s high quality glass lined tanks to have a lining failure significant enough to allow water to contact enough bare metal to discolor the contents of even a small tank. The most common cause of rusty water is iron reducing bacteria called Leptothrix. Iron bacteria are commonly found in soil, water wells, water treatment plants and water distribution piping systems where soluble iron exceeds 0.2 parts per million. Higher levels make conditions even more favorable. Soluble iron in the water provides food for the bacteria. Rusty or discolored water is the result of a bacterial feeding process. Laundry, tableware, and plumbing fixtures can be stained if the condition is left unchecked. 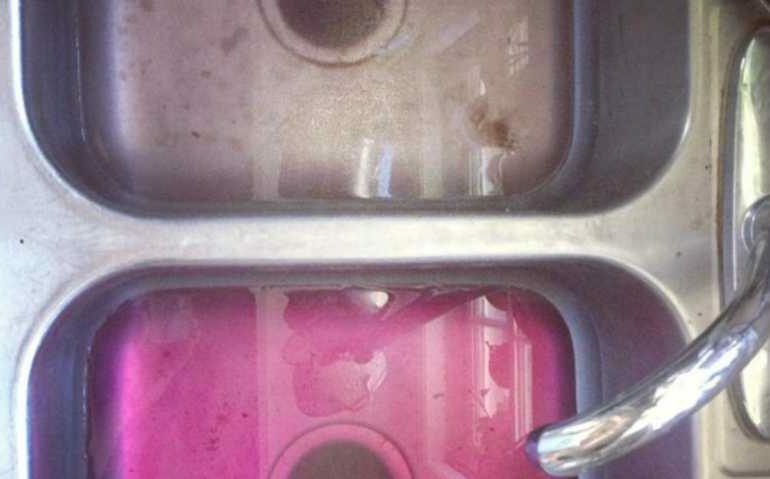 The affected water can be red or brown, and may have a black sediment. Heaters and tanks with iron bacteria usually require new anode rods as presence of iron bacteria causes premature anode failure. Chlorinate the water heater or tank. Heaters and tanks with extended iron bacteria infestation may require more than one treatment. A chlorine feeder may be the only permanent solution to repeated iron or sulfur bacteria infestation. Turn off gas or electric supply to water heater. Turn off cold water supply valve to water heater or tank. Open a nearby hot water faucet to allow air into the system. This will break the vacuum and allow the heater or tank to drain. Remove anode rod(s) and close drain valve. Using a funnel placed in the anode rod opening pour in one gallon of household chorine bleach (i.e., Clorox or Purex) for every 25 gallons of tank capacity. Note: For commercial systems using large diameter pipe and long hot water loops, estimate water volume and add additional chlorine at the same one gallon to 25 gallons ratio. Reinstall anode rod(s) after inspecting and replacing as needed. Open cold water supply valve and refill system with water. Draw chlorine solution into hot water system piping by bleeding water at each faucet just until the chlorine solution can be smelled. Operate dishwasher and clothes washer just until chlorine is smelled in those appliances. It is important to chlorinate all hot water lines. Leave chlorine solution undisturbed in the hot water heating system one hour or more. After contact time has been allowed, drain chlorine solution in tank according to steps #2, #3, and #4. Continue to flush tank if water is discolored or has chlorine odor. Close drain valve and refill tank. Allow tank to sit for 15 minutes. Repeat step #2, #3, and #4. Continue to flush tank if water is discolored or has chlorine odor. Close drain valve and refill tank. Flush all chlorine from piping by running hot water faucets until no chlorine odor is detected. Operate dishwasher and clothes washer empty for one complete cycle. Return hot water heating system to duty by following recommended start-up procedure posted on heater or in service manual. Once your water is hot, insulate to help keep it that way. Wrapping exposed hot water pipes with insulation will minimize heat loss. So will installing an R-12 insulation blanket around your water heater, unless the manufacturer does not recommend it. Reduce your water heater’s temperature to 120 degrees Fahrenheit. That will produce plenty of hot water and still save energy. For homes with a dishwasher, a setting of 140 degrees is required to clean properly, but most of the new dishwashers have a built-in water temperature booster. Many new water heaters have a “vacation” setting you can use to save energy if you’re away for more than a few days. Turn the thermostat “down” or “off” when you’re gone for more than three days.